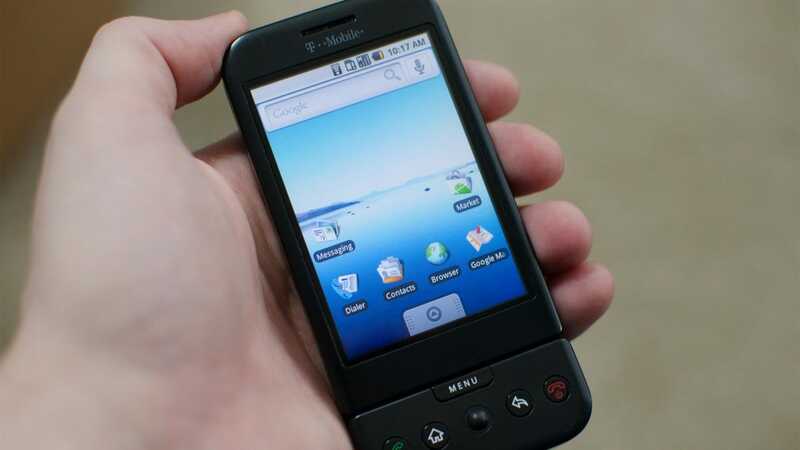 Ten years ago this week, Google announced the very first Android phone. I picked up that phone when it first came out and now, a decade later, I fired it up again to see how well it held up after all these years. It took a long, painful hour to get to this home screen. 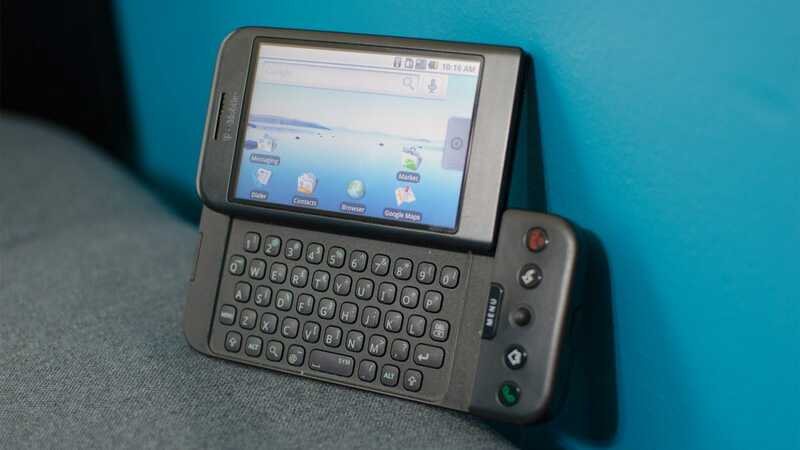 I still remember the day I got my HTC G1 (known internationally as the HTC Dream). I’d spent a couple hours the night before manually copying all my contacts into Google Contacts because I was excited. You see, the G1 would sync your contacts automatically. At the time, this was revolutionary to me. Getting a new phone meant, at best, someone at the carrier store would have to transfer your contacts over with a cord. At worst, it meant hours of copying them over one by one. Instead, I sat at a computer and typed them in. It was the last time I had to even think about transferring contacts. I turned on my G1 for the first time, logged into my Google account, and my contacts were all there. It felt like the future. Flash forward ten years and I turned on my G1 again. It had been factory reset, so I had to go through the initial setup all over. Except, there was a problem this time around. I didn’t have a SIM card. My current phone has a nano SIM card, but not the archaic full size card that phones used back then. No big deal, right? I’ll just connect to Wi-Fi and—nope. In order to connect to Wi-Fi, you have to get to the home screen. In order to get to the home screen, you have to log into your Google account. This device cannot be setup without a cell connection. So that’s why I spent an hour meticulously cutting a nano SIM card adapter out of an old hotel key card. This process hurt. Carefully slicing a tiny SIM tray out of thick plastic with a tiny knife is, as you might imagine, a strain on the wrists. Obviously this wasn’t a problem when I first got the phone, but time has left the G1 behind. “Your username and password don’t match.” What? Yes, they do. What? Yes, they do. I checked multiple times and my credentials were definitely correct. So, why couldn’t I log in? After a little troubleshooting, I figured out that the G1 simply had no way of handling two-factor authentication. Because this phone came out about two and a half years before Google accounts even had 2FA options. Instead of handling the 2FA prompt, Google simply rejected the login attempt. I had to temporarily disable the basic security feature just to get into my phone. So, to summarize, in order to even get to the home screen on the G1 in 2018, I had to cut out a hacky SIM card adapter, manually configure a network APN, and disable the most important security feature on my Google account. Get used to broken, perpetually “loading” apps on this phone. You know that feeling when you see your childhood slide again as an adult? You remember it being huge, but now that you’ve upgraded to a full-size body, it just looks dinky. How were you ever intimidated by this? That’s sort of how I felt coming back to the G1. I have distinct memories of thinking this thing was the coolest phone in the world. Yeah, sure the iPhone existed, but this. This was the future. A prediction, by the way, which was correct. Android accounted for 86% of all smartphones sold worldwide in Q2 of 2018 (which makes sense when you remember Samsung sells almost as many phones as Apple, and then there’s all the many, many cheap Android phones out there). So, how in the absolute hell is this the phone that instilled such confidence back then? For the sake of simplicity, I’ll set aside the things that don’t work now but worked back then. Currently, the Android Market (as it was once called) no longer works because it doesn’t exist anymore. Google Talk is dead and gone. YouTube still exists, but the included YouTube app must be using an outdated API or something because it can’t load a single video. 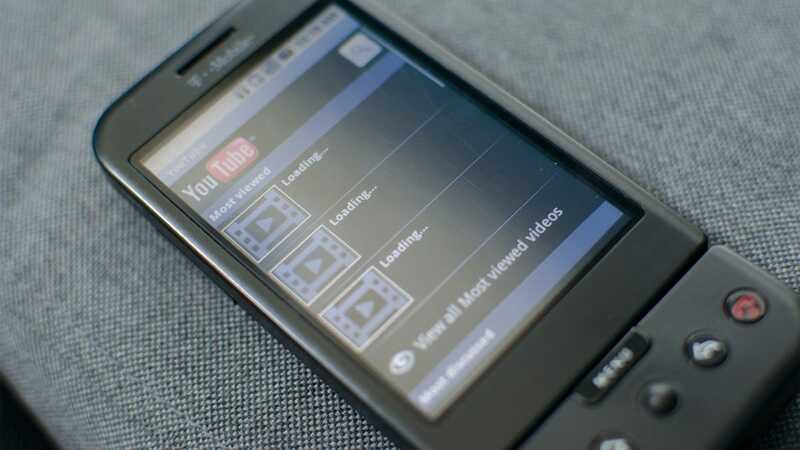 Not that I’m eager to watch a video on this tiny, low-res screen. There’s also an Amazon MP3 app which shipped with the phone, a stark reminder of a time before Amazon and Google hated each other. Unsurprisingly, it also doesn’t work. In a weird way, this brokenness today is evidence of Google’s forward-thinking in 2008. So much of what this phone can do was built on cloud infrastructure, rather than local apps. This is a phone designed with the internet in mind. It didn’t just include an SMS app, a calculator, a browser, and call it a day. Every corner of the app was built with cloud data and internet-based services as a central philosophy. On the one hand, that was a smart approach. On the other hand, it means that once that cloud infrastructure is gone, this phone becomes impressively useless. A few apps still work, though. Google Maps can still find me on a map, search for locations, and get directions to them. Note, when I say “get directions,” I don’t mean the new, GPS-style, turn-by-turn navigation you’re used to. That didn’t arrive until the original Droid came out on Verizon in 2009—a revolutionary moment, by the way, when navigation became a free, expected aspect of daily life. No, the G1 could give you a list of directions like the kind that the Olds used to print out from MapQuest. This is what the future looks like through the eyes of the past. The camera was also, unsurprisingly, crap. The rear camera had a sensor made out of a potato with roughly seven and a half pixels. 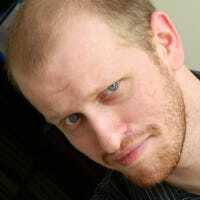 The front facing camera didn’t exist because Android phones didn’t have them until the HTC Evo came out in 2010, just narrowly beating the iPhone 4 to market by a few weeks with a front-facing camera. Bafflingly, the G1 had two camera shortcuts in its app drawer: Camera and Camcorder. Just in case you thought this camera could only take one picture at a time, Google wanted to make sure you knew that it could take several pictures in a row and display them in rapid succession to create something approximating a video. The notification system is a massive downgrade from the centerpiece of your phone that it is today, but it’s remarkably refreshing that, on a basic level, it still works the same. Swipe down from the top of the screen to see what needs your attention, tap on a notification to take care of it. This was a very simple innovation that seems obvious today, but it was a revelation in 2008. It makes perfect sense! Every message, email, and missed call is in one place that you can access from anywhere in your phone. If the test of innovation is staying power, then this idea has stood the test of time. Few aspects of Android have stuck around, but the notification shade did. Of all things, the Gmail app still works and… it’s actually not that much different? It’s incredibly laggy, you have to tap a button to display pictures, and it randomly can’t make a connection, but I was able to download emails, read them, and then reply, archive, or delete them. It even displayed labels that I created as Inbox bundles. I can’t quite figure out why this of all things still works even when I’m not currently using the Gmail app on my modern phone, but it was a welcome surprise. In a cruel twist of irony, my contacts also didn’t sync to the G1. The one thing I loved about this phone when I first got it was that I would never have to copy contacts to a new phone ever again. But it looks like I might have to manually copy them over to an old one if I ever want to use it again. Somehow, this wasn’t the last Android phone with a trackball. What you can do with your phone is just as exciting as ever, but phone hardware has gotten really boring. So boring that we’ve been arguing about bezels for literally years now. You know what we need? We need a phone that throws every stupid hardware decision at the wall to see what sticks. And none of it sticks. But we make a phone out of it anyway. That is, presumably, the process behind designing the G1. Famously, the earliest unreleased Android phones looked a lot more like Blackberries. Then the iPhone came out and things changed. The resulting phone is about what you might expect from a rushed process to adapt what was, to be fair, some pretty revolutionary software onto a hardware design that was still in its infancy. 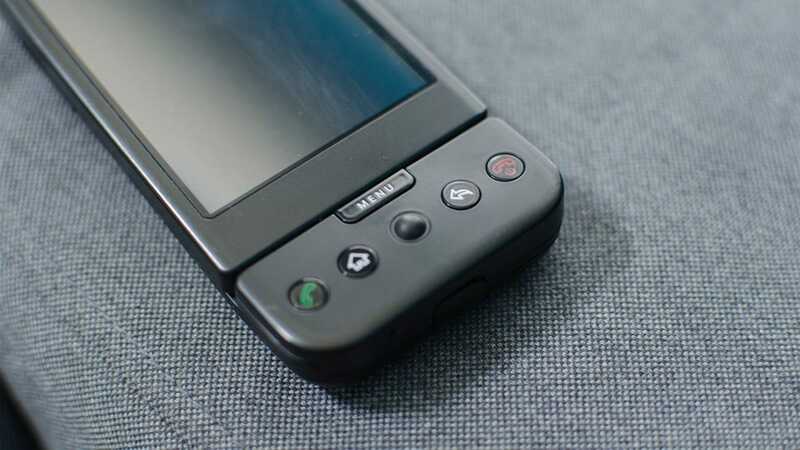 The G1 has, in no particular order: a home button and a back button, the only vestiges of early Android controls to survive into the modern era. A green Phone button that answered calls or launched the phone app. A red Hangup button that would end calls and served as the power button—this eventually just became the Power button on every Android phone today. A menu button, to access invisible options in various apps, a feature that lasted almost four years before Google killed it. A trackball that… is there for some reason? There’s a touchscreen right there, why would you need a trackball? This is the most peculiar vestigial limb of early Android. The G1 was, for some reason, not the last phone to have a trackball. In fact, a year and a half later, when Google decided to pull a Thanos and take Android phones into their own hands, they still kept the trackball! Of course, that trackball had an LED in it that could light up different colors based on what notification you’re getting which was really friggin’ cool at the time. Still. Why a trackball? I don’t miss this keyboard. But I do miss when phones tried to include them. Oh, and lets not forget the G1’s most defining characteristic: that chin, no I’m kidding. I mean the slide-out keyboard. 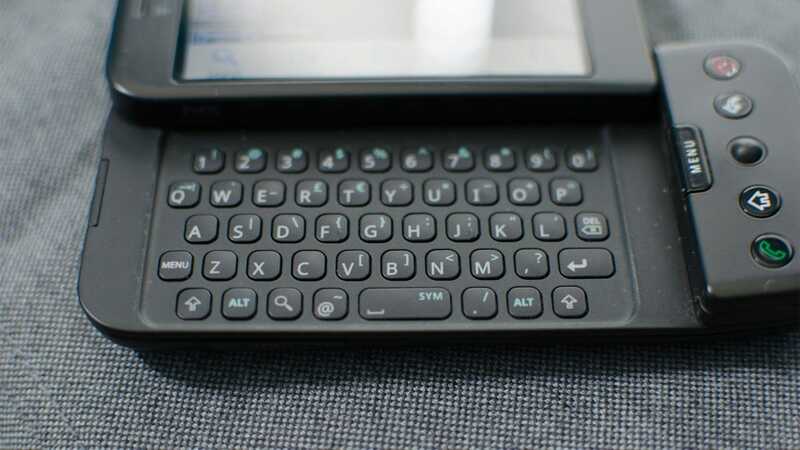 While a later software update added a virtual keyboard to the G1, when the handset first dropped, the only way to input text was with the physical keyboard. And while it’s finger-breakingly tiny today… I find myself missing it. I’m sure some market research firm somewhere found that physical keyboard phones just aren’t popular enough to mass produce anymore and I’ve grown to live with that. I can adapt, it’s fine. Still, if Apple really wants to be courageous, if Google really wants to do something different, there’s an easy answer: bring back the physical keyboards, you cowards. For as much as I’ve ragged on this phone here, the G1 really was a revolution when it first came out. While the iPhone could only be set up by connecting it to a computer running iTunes, the first one didn’t have an app store, and it took a long time for Apple to get the kind of notification system and cloud sync that Android had from day one. It’s easy to look back and make fun of it, but at least when it comes to software and platform services, Google was ahead of its time. But Google still had a lot to learn. Especially from Apple. Over time, both platforms grew closer to each other, to the point that there’s very little reason to pick one smartphone OS over the other besides preference. We take that for granted now, but in 2008, there were severe, ideological differences between the two. If you wanted a pretty phone that had a few good apps, felt slick, but still treated a computer like its home base, the iPhone was for you. 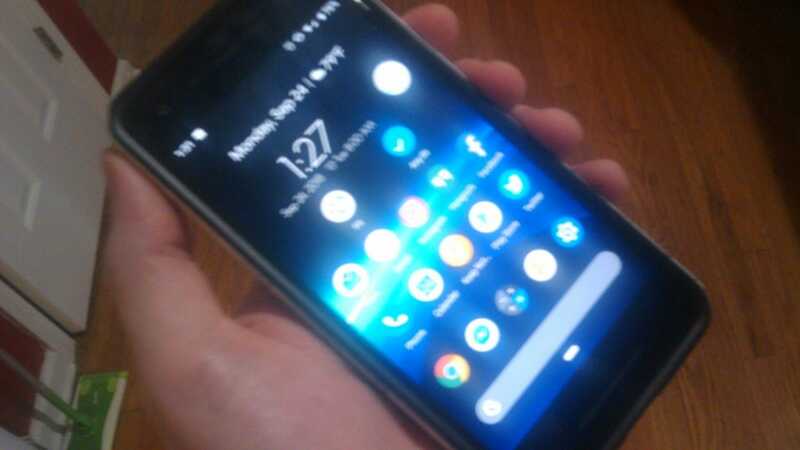 However, if you wanted a phone that felt like it was birthed by the internet itself, designed around the cloud and all the distractions it was ready and waiting to provide, and able to live independent of any other gadget you own—and you don’t mind if the hardware and software is ugly as sin to get it—then the very first Android phone was there to make your Dream come true. Apple might have been late—OK, really late—to the wireless charging game, but now that the feature is here you should totally take advantage of it. Here’s the rundown on wireless charging and our top charger picks.